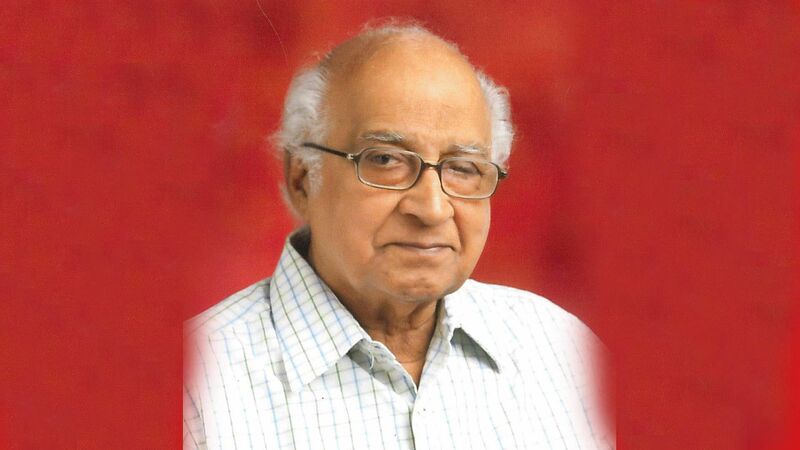 Dr Karachepone Ninan George, the former director of the Madras School of Social Work (MSSW), Chennai, died at the age of 95 on April 12, 2019. Dr K N George was an internationally acclaimed academician and social worker. His body will be kept for public homage at MSSW from 12.30 pm to 2.30 pm on Sunday, April 14, 2019, and the Prayer Service will be conducted from 3 pm to 4 pm at Mar Thoma Church, Harrington Road, Chetpet, Chennai followed by his burial at 4.30 pm at the Kilpauk Cemetery. Dr George started his career in 1953 as a lecturer in the then newly established Madras School of Social Work. and rose to the helm of its affairs in the year 1957 taking over as the institute's Director, and held the post for nearly five decades. "I worked with him in 1990. He has mentored several social workers and academicians from all over the world. Even at 95 he was very active and was the Chairperson for the Institute of Sustainable Development and was associated with many other organisations," said Rema Saraswathy, Member Secretary of the Institute of Sustainable Development. "He was the force that helped MSSW attain the international acclaim that it now enjoys." Born on June 21, 1924, in the village of Thuruthicad near Thiruvalla in Kerala, he obtained his Masters in Social Work from the MS University of Baroda (1952) and Master of Science in Social Administration from the School of Applied Social Sciences, Case Western Reserve University, Ohio, USA (1959). The term when he was the Director, the MSSW had been recognised as an in-service training centre for various cadres of government officials — probation officers, senior probation officers, after-care officers, district and sessions judges, judicial magistrates and jail officers at the national level, National Service Scheme Program Officers of different States and more. He has also served on Board of Management of a number of well-known institutions and held positions in advisory councils and committees at International, National and State levels. He was instrumental in founding many associations of professional social workers and social work educators at national and international levels. Prominent among his professional associations are the International Association of Schools of Social Work (IASSW) as its Vice President during 1986-90, Asia Regional Association of Social Work Educators (ARASWE) as its Founder Secretary, Association of Pacific and Asia Social Work Educators (APASWE), Indian Association of Schools of Social work (IASW) as its President, and the Inter-University Consortium for International Social Development as its Founder Member. His passion for social welfare administration was evident from his contribution to several social welfare organisations at local, regional, national and international levels. Madras Christian College, Meston College of Education, the Guild of Service, Christian Children’s Fund, Union Christian Association and Madras Christian Council of Social Service are among the many organisations which benefited from his patronage while he served on their respective Boards of Management. He was instrumental in establishing the Indian Council of Social Welfare, SWISS India Trust that funds many national level non-profit organizations in India, Christian Children’s Fund and Child Fund India which took over the Christian Children’s Fund later, TICINO Rural Development Society that works for rural development, Phil and Mary Clubwala Jadhav Trust that gives aid to 20 other non-governmental organizations, and Robert Jones Trust that provides support in the field of education, the Institute of Sustainable Development a training and research organisation.